Bring your yarn, and join one of these open groups. One Saturday afternoon each month, a Gallery 200 artist offers a free workshop demonstrating some art technique. 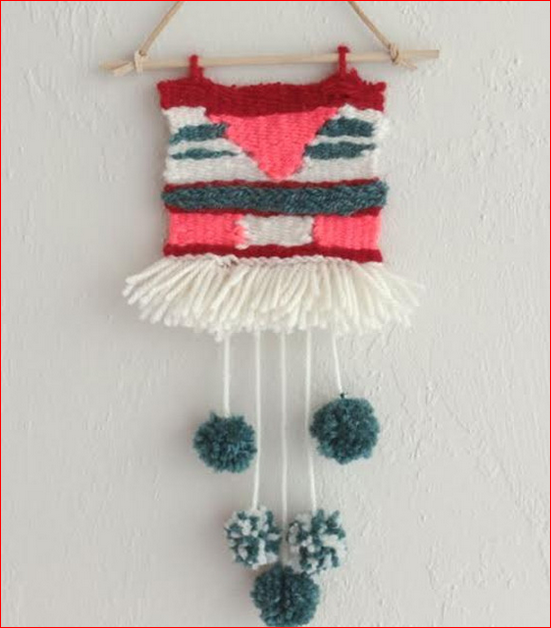 The next Gallery 200 Art Share will be Twig Weaving presented by Sandy McLain of Warrenville. Learn to weave on a simple cardboard loom. Explore weaving techniques, and go home with a small, but GORGEOUS wall hanging. Admission is free, no registration is required. If you have scraps of yarn, bring them along. Gallery 200 is at 200 Main St., West Chicago, IL. Meet a new artist each month. These free programs are open to the public and start with coffee and cookies at 7pm. The program begins at 7:30 and ends by 9 pm. Next program is Monday March 16. Edward Cooks presents "It's a Small World After All". Edward's paintings have been recognized for their quality and merit in international miniature competitions. His love of nature can be seen in the selection of his subject matter. Each work is rendered using acrylic pigments on hot press water color paper. DuPage Art League is located at 218 W. Front Street, Wheaton, IL. I'm pulling out some knitting. See you there. If you know other open, free groups - please share in the comments!